Adrian Moreno is no stranger to winning. After taking home the bracelet in the 2017 Little One for One Drop tournament at the WSOP, Moreno has been seen making deep runs at Commerce, as well as some of the smaller local casinos. A photo of him taken shortly after his WSOP win was even nominated for an American Poker Award. The Shootout format saw him win his opening table of 8, the in the money table of 5, and advancing to the 5 handed final table. He wound up making a deal once heads up to take first place, the trophy, and nearly $8,000. 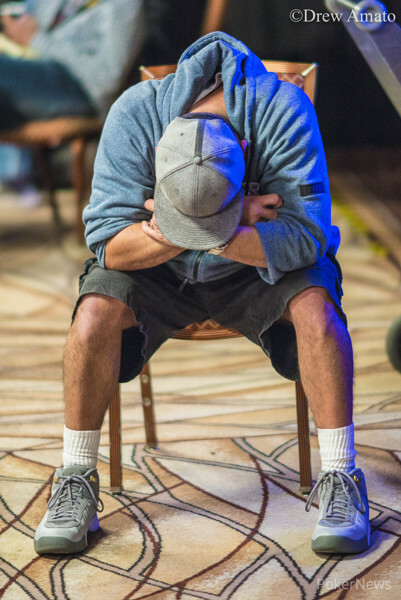 Moreno can frequently be seen on social media using the hashtag #becauseofpoker, and the very humble and greatly skilled player showed once again why he is always a force to be reckoned with at the tables. Congrats to Adrian on adding yet another trophy to his collection, and winning what very well might be the last Shootout tournament with a guarantee that Commerce ever runs! A complete list of results can be found by clicking here.